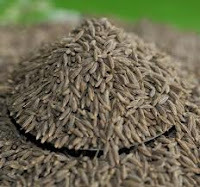 Jeera futures have surged on Friday supported by good short covering at the lower levels, exports demand too have started picking up, however overall exports still remained low. Indian Jeera production is expected at 28-30 lakh bags translating to more than 1.5 lakh tonnes. The contract for October delivery was trading at Rs 14,390.00, up by 1.47% or Rs 209.00 from its previous closing of Rs 14,181.00. The open interest of the contract stood at 12210.00 lots. The contract for November delivery was trading at Rs 14,730.00, up by 1.16% or Rs 169.00 from its previous closing of Rs 14,561.00. The open interest of the contract stood at 16026 lots on NCDEX.